Can it be possible that we've made it to the end? Today is the letter Z in my list of reasons to be cheerful. I'll be honest with you, I've enjoyed doing this, but by this stage it would be fair to say my Z reason to be cheerful could be just that I've got this far. However, that might leave you feeling slightly shortchanged so my real reason to be cheerful for the letter Z is the zebra. Zebras leave me feeling cheerful simply because they exist. I've never seen one in the flesh, but they are striking looking animals that are genuinely pleasing to the eye. A horse of a different colour OR a zebra? 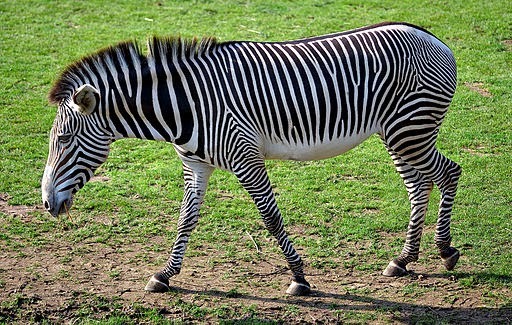 Apparently, it used to be believed that zebras were white animals with black stripes, but embryological evidence now shows that the animals' background colour is black and the white stripes are additions. The phrase that sprang to mind there was "if you say so". Anyway, zebras are definitely once seen, never forgotten creatures. And they make me cheerful. What doesn't make me so cheerful is that contact with modern man has put the numbers of some types of zebra at risk. Sometimes I despair. That's it, I can't go on. I'm worn out. If you've stuck with this from A to Z I hope you've enjoyed it or at least found it interesting. I've enjoyed doing it, but now I just want to stare in to space for a while. All that remains is for a piece of music. I hunted around and found this by Magnetic Fields, it's called Zebra so fits the bill even though it's not exactly about zebras. I liked it, see what you think. Question: What would your letter Z reason to be cheerful have been? Congratulations Mark. Its gruelling isn't it? I lost it for a while then had to rally mid month. You are right thought - for a reason I can't quite define, a Zebra does make me smile! I'm so glad to have found you through the A to Z challenge because you got a nice mention on the That's Purrfect blog. ~grin~ I suppose zinnias make me cheerful. I wrote a haiku about them here: http://writersretreatblog.blogspot.com/2015/04/z-is-for-zinnias-haiku-for-day.html and my final post for the challenge at my http://darlamsands.blogspot.com is also about zinnias. I am number 1157 on the list now and can’t believe the month is nearly over. You made it! Congrats on crossing the finish line! :) I hope you had fun. The linky for Reflections will be on the main blog on Monday! We will never know about the stripe issue on zebras. I've seen some in zoos over the years. Zebras are GORGEOUS. I liked the song too. 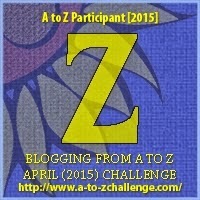 I never thought I would actually get to Z in the A to Z Challenge - but I did. Thanks for telling me about it. I mentioned you on my last post!